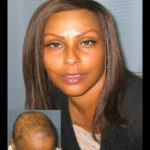 Testimonials | Hair Dreams By Christal Inc.
so therefore I enjoy wearing a hair replacement system. our lives. I Thank God that he placed you in our lives! Dream” in such a powerful way. 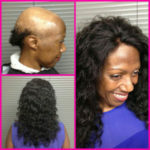 “Sometimes I don’t like wearing my natural hair down, so therefore I enjoy wearing a hair replacement system. It saves time, I lead a healthy lifestyle. 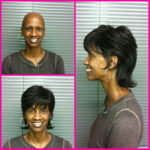 I workout a lot, I’m a fitness competitor and the hair replacement protects my hair from breakage and damage. I love my hair, it’s so versatile and very natural looking. the confidence I never had before. hair healthy and grow. 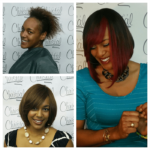 I love the service at Hair by Christal. 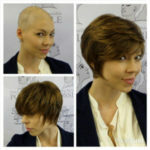 I’m 25 yrs.old and when I was diagnosed with cancer I started searching for a wig. I met Christal through a lady who works in Memorial Hermann Hospital. 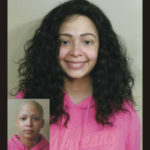 Before I had chemo I decided to make a wig out of my long hair and Christal helped me to do that. My hair was sent to China and unfortunantely my wig wasn’t ready when I had to leave the country to visit my family. Christal let me pick a couple of wigs that I could use, I tried on a dozen of them, she was very patient considering I didn’t have an appointment. I had a hard time deciding between two styles I really liked, Christal wanted me to use both of them. It was very nice to meet such a thoughtful lady who likes her job and tries to make happy everyone who comes through her doors. When you first come in it feels like home, very warm and welcoming.